You’re at the airport and the TV is on mute, what can you do if you want to hear the program with volume? You can try to follow inaccurate subtitles…or you can use Tunity. The company allowing you to scan a nearby television and access the audio for the channel, Tunity is the solution for the laundromat, sports bar, gym or waiting areas with a muted TV. Developing technology unlike any other, the company is looking to tackle a whole new market and aid the hard of hearing in tuning in to their favorite programs. 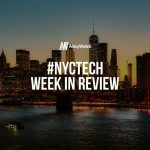 AlleyWatch chatted with CEO and founder Yaniv Davison about the company and how the technology works. Tunity has developed a technology that allows adding an audio stream to visual content. 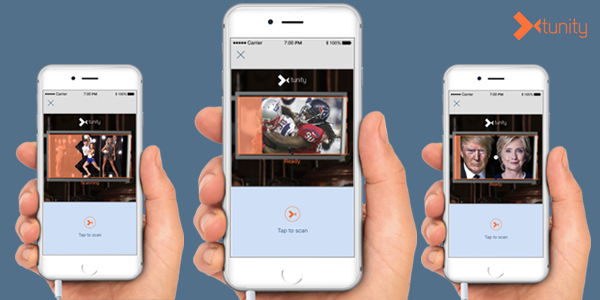 Tunity’s mobile app allows users to hear live audio from muted televisions directly on their mobile device. After a user scans a nearby television screen, the Tunity app identifies the live video stream and its exact timing, syncing the audio with the user’s mobile device. 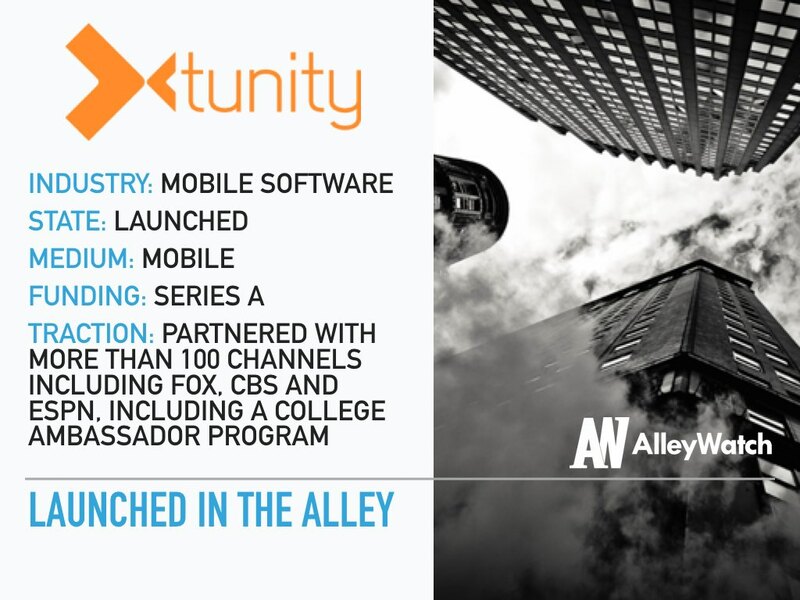 Tunity currently works with more than 100 channels in the United States, including FOX, CBS and ESPN. What inspired you to start Tunity? I was working as a consultant – spending a lot of time in airport lounges and hotels and saw the inferior viewership experience as well as the low engagement with screens in prime locations. Looking at some research, I saw the market was very big (the industry refers to more than 10% of TV viewership occurring OOH (out of home), and I believe that is understated and could be as high as 20%) and unmeasured (Nielsen makes ~$3B from different TV viewership research and measurement – covering basically only in home). The idea behind Tunity was to create a personalized and superior experience for the consumer and at the same time provide measurement and data insights to the industry (that now is focused more and more on programmatic and accountability). Tunity is the only platform that uses video to detect the content running on a screen. As opposed to older technologies that are audio based (thus, are irrelevant out of home or in noisy environments) – it can detect content quickly and more accurately sync it (the underlying physics is that there is a lot more information in one second of HD video than there is in one second of audio). Some people describe it as “Shazam for Video” – there really is nothing else out there that can do that. We are aiming to not only improve the way people experience TV OOH, but completely revolutionize any consumption of video OOH (DOOH is one example). We also have plans to enable superior products and experiences related to real time sports gaming (and that’s where part of the partnership with MGM comes to play). We are now focused on the US but can be opportunistic regarding international partnerships (the technology is the same and deployment is quick and simple). Additionally, we’ve seen that Tunity can be a real life-changer for people who are hard-of-hearing, a market that we’ve become increasingly passionate about. About 15% of American adults are reported to have trouble hearing. We’re going to market with our viewership data and SDK product, which allows us to offer this service to consumers for free. We would also like to add in-app advertising in 2H 2018. Does your service work with streaming services? Tunity currently works with live TV as well as with original content (as long as we work directly with the content creator). We are working on expanding to OTT – will announce timelines in 2018. Additionally, we have an SDK that allows any streaming service to integrate Tunity’s technology. We are on a fast track to creating a viewership measurement and data insights solution for TV networks, ad agencies and advertisers. 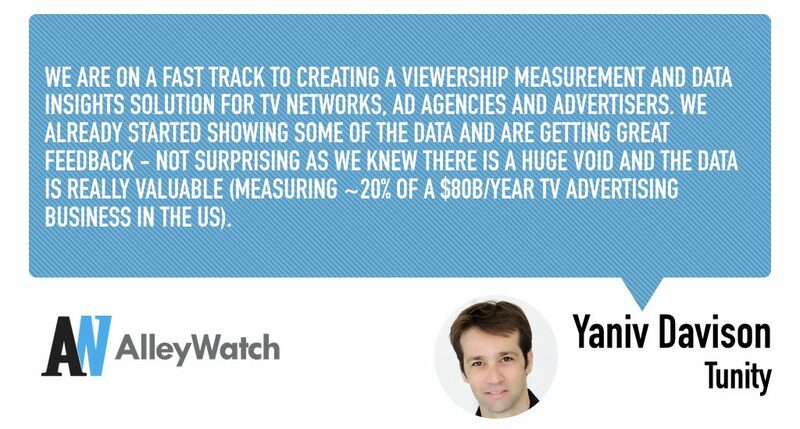 We already started showing some of the data and are getting great feedback – not surprising as we knew there is a huge void and the data is really valuable (measuring ~20% of a $80B/year TV advertising business in the US). A big focus is on this work, while continuing to expand the number of networks we support and the amount of venues we partner with and marketing our mobile app to consumers. Where is your favorite bar in the city for an after-work drink? Two, depending on the mood – but they are close together (in TriBeCa): Brandy Library is quiet and has an amazing selection of Scotch and Smith and Mills is small and intimate and has a great vibe.